HANSCOM AIR FORCE BASE, Mass. -- Because a strong Iraqi air force capable of flying and fighting starts with a solid foundation of planning and control of forces, an Electronic Systems Center team has taken on three major projects of an ESC master plan to ensure the Iraqi air force is capable of providing its own air defense. The C2ISR Directorate's Foreign Military Sales Team for Iraq has completed work on the Iraq Information Technology Infrastructure Project, or I3P, providing the communications backbone for several follow-on programs. The I3P provides intra-air base capability, as well as connection to the Iraqi defense and intelligence network. In addition, the ESC team, along with its industry partner Lockheed Martin, recently completed equipping and testing Iraq's Air Operations Center. U.S. Air Force and Iraqi officials opened the state-of-the-art AOC as the Iraqi air force celebrated its 80th anniversary on April 21. Now the team is working on the completion of a Sector Operations Center, or SOC, and installation of two long-range radars. "We're providing the Iraqis with an air defense center to see their own airspace and guard against threats, to provide national air sovereignty," said Capt. Wesley Crawley, program manager. "Currently the Iraqis have civilian air traffic control terminal radars, but have no centralized command and control and long range surveillance. We're providing that so the Iraqis will be independent and capable when U.S. forces reach end-of-mission in December 2011." The AOC installation was successfully completed in March. According to the team, the center is not only physically much larger than what the Iraqis were used to, the technology is significantly more advanced. There is an operations floor, an observation deck and an entire wall of screens that can be seen from the furthest point in the building. "In this facility, the Iraqi command element will run their air war," said Captain Crawley. The center allows the Iraqis to communicate between bases, and it also provides intelligence, surveillance and reconnaissance capabilities, giving commanders real-time video surveillance feeds. "This AOC will bridge the gap between their current labor-intensive processes to more efficient, automated systems, complete with interoperability hooks to support future opportunities," said Paul Risotti, project manager. "They are on track to operating a world-class system." Once the sector operations center is completed, it will provide information to the AOC for airspace management and defensive air operations. At an air base In the south of Iraq, final walkthroughs were conducted the first week of April for the air defense center and an adjacent administrative and training building. After inspections are completed and punch-list problems corrected, the ESC team will begin installation of C2 equipment and installation of the long-range radars and ground-air radio capabilities. The C2 system will re-establish an Iraqi capability for air surveillance and air defense intercept control, both key elements in creating the conditions necessary for ensuring the air sovereignty of Iraq. "The SOC will take inputs from ATC radars at several air bases and the data feeds from the long-range radars to generate a nationwide air picture," said Mr. Risotti. "And these radars will be operational 24/7 and are very robust in terms of maintainability and sustainability." Of course, the project has not been without its challenges. The team recently overcame an issue with where to locate the high frequency antenna in the AOC. The facility didn't accommodate the allotted space needed for the antenna. The ESC team, along with Lockheed Martin, engineered a solution to allow the antenna to be installed with a minimal footprint in the area of the new AOC. This allowed the team to maintain the needed communication stream with no additional cost or schedule to the program. Trust and confidence building with the Iraqis were early goals the team worked hard to achieve. "It's crucial they believe in us and trust in our expertise to complete the tasks in the time allotted," said Rick Dellovo, network engineer. With a half dozen trips behind them, the combined ESC and industry team built those important connections. "The Iraqi culture is very relationship-focused while the U.S. team is highly mission-focused, so we both had to adapt," said Captain Crawley. The C2ISR team has no time to pause and celebrate because there are only eight months remaining for them to complete a complex task of installation, training, and handover of a sophisticated air C2 system. The time factor is crucial to the program's success. Program success is measured by ESC's ability to provide Iraq with a key component of air defense capability by December 2011, when U.S. forces complete withdrawal from Iraq. I3P, AOC, and a SOC with air defense radars and radio sites are all elements of a master plan devised by ESC for Iraq. Although the Iraqis were a little hesitant at first, once they began seeing the results, such as the AOC, they were amazed and delighted, according to Sonny Steele, acquisition specialist. "We're providing 21st century solutions," said Mr. Dellovo. Lockheed Martin Corp., Mission Systems & Training, Manassas, Virginia, has been awarded a not-to-exceed $11,645,964 undefinitized, firm-fixed-price, cost-plus-fixed-fee, and cost-reimbursement contract. This contract provides contractor logistic support for the Iraqi Integrated Air Defense System. The scope of this effort includes engineering support services, on-site support, logistic management, technical support, preventative/corrective maintenance, and engineering analysis and recommendations for logistical and lifecycle support for the IADS and equipment. Work will be performed at various locations throughout Iraq, and is expected to be completed by June 30, 2015. This award is the result of a directed sole-source, 100 percent foreign military sale for Iraq, and $2,911,491 will be obligated at time of award. Air Force Life Cycle Management Center/HBNK, Hanscom Air Force Base, Massachusetts, is the contracting activity (FA8730-14-C-0030). In the newest edition of Khaima Magazine they have an article discussing the Russian Protivnik-GE 3D surveillance radar system. 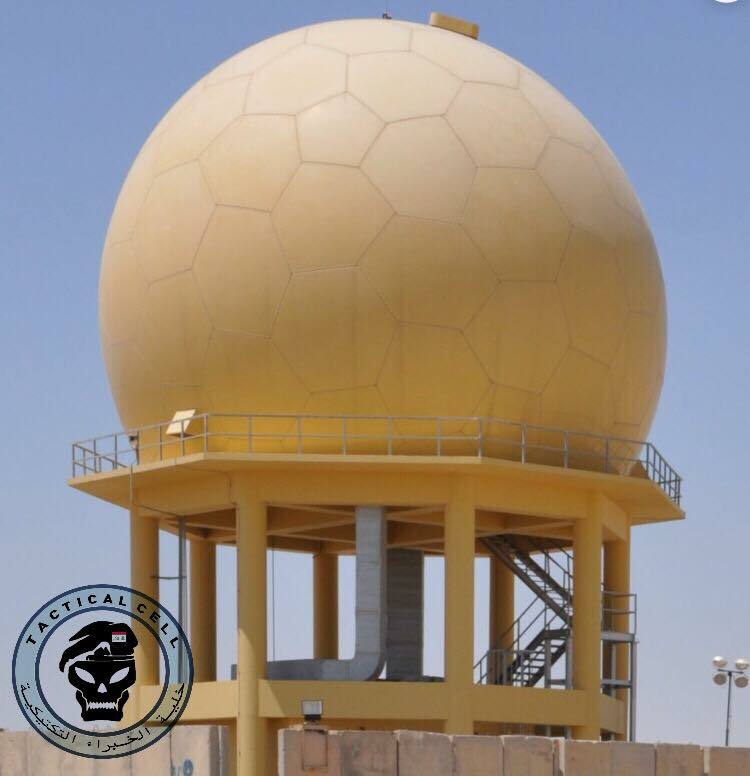 hayder كتب: In the newest edition of Khaima Magazine they have an article discussing the Russian Protivnik-GE 3D surveillance radar system. هل نشر هذا الموضوع في مجلة خيمة العراق يعني ان العراق تعاقد على هذا النظام او انه سيحصل عليه قريبا؟؟ ان صح ذلك فسيكون نقلة كبيرة لمنظومات الانذار المبكر العراقية..